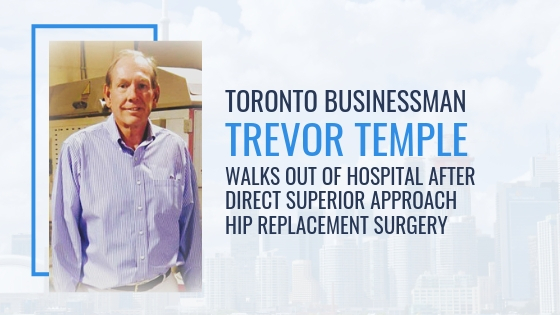 (PALM DESERT) – Earlier this year, 64-year-old Canadian business executive Trevor Temple was facing hip replacement — and he was more than a little wary. 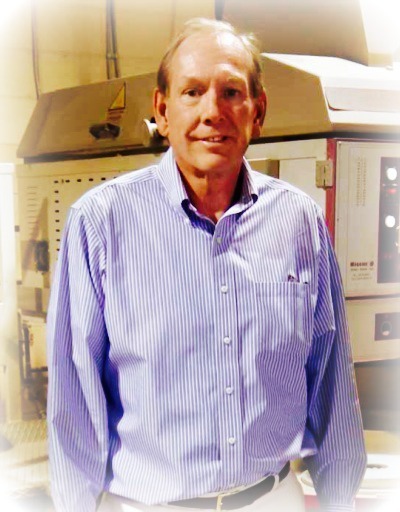 The owner of AT Designs, a custom award and promotional company — with offices and manufacturing in both Toronto and Indio, California — Mr. Temple is an active member of the business community, traveling often between Canada and his Palm Desert home. Toronto doctors had already scheduled his surgery, where he was told to expect the “normal” two-and-a-half hour operation, with a three-day hospital stay. Only the price seemed right – the entire procedure would be covered under Canada’s publicly funded Medical Care Act, at no cost to Mr. Temple himself. But dinner-party banter among friends raised an eyebrow, when Mr. Temple and his bride Janna overheard casual conversation about a minimally invasive approach that involved less pain, faster recovery, less muscle and tissue damage, even increased stability – with only a tiny scar. On his next trip to the desert, he did his own online investigation, then attended a seminar led by renowned joint-replacement pioneer surgeon Douglas J. Roger. There, he discovered the Direct Superior Approach. But 35-plus years of manufacturing experience – that includes supplying insignia items to the Canadian government, military, and police, no less – had taught this international businessman to trust his homework. Due diligence about the Direct Superior Approach only narrowed his decision. The facts about the Direct Superior Approach speak for themselves. Peer-review journals – such as Clinical Orthopaedics and Related Research – report an average postoperative Harris Hip Score of 96.5, with no dislocations, no sciatic nerve palsies, no wound complications and low transfusion rates. Five hours later, he walked again. From that point, with modest assistance, he walked the hospital hallway every hour. A longer walk followed at 8 p.m. Early the next morning, he was asked to change from hospital garb to street clothes. By 10 a.m., barely 24 hours after his surgery, an incredulous Mr. Temple was walking — without a walker. “I’ll be honest – I couldn’t believe it,” he says. When Dr. Roger appeared outside Mr. Temple’s hospital room and beckoned him to “get up and walk” to the hallway, it literally was a hallelujah moment. Two hours later, Mr. Temple walked out of the hospital for good. The scar, meanwhile, is barely two inches long.